Jeannie Morris was born in rural Donaldsonville, Louisiana, to Steve J. Morris, her lifelong hero, and Bessie Morris, a two-time world champion biddy basketball coach. Her Mom was the director of recreation for the girls’ basketball and softball leagues, which included girls from the age of 4 to 18. She thereafter created and directed the Minutemen program for the young boys’ basketball and baseball. A seminal moment in her young life was when her father gave her a t-shirt that read, “A WOMAN’S PLACE IS IN THE HOUSE . . . AND IN THE SENATE”, which captured for her the idea that she could accomplish anything she dreamed of achieving. For Jeannie, this meant one thing: accomplishing her lifelong dream to become an attorney, a seemingly far-fetched fantasy for a rural Southern girl. Nonetheless, when Jeannie watched her childhood TV favorite show, Perry Mason, she always knew she would become an attorney – and what type of attorney, too. An all-state star athlete in multiple sports and an academic standout, Jeannie pursued her legal dreams first at Tulane University, where she began a long career of shattering glass ceilings. Jeannie became the starting point guard on Tulane University’s first women’s basketball team . . . as a 5’4” tall freshman. Both competing in NCAA athletics as a woman in the 1970s and surviving at a big city university as a small town Southern girl taught Jeannie that fitting in was less important than learning how to be herself. After graduating from Tulane early, Jeannie graduated from Loyola Law School in 1981 at the age of 23. As a young woman from a small town in a New Orleans legal world dominated by well-connected old men, Jeannie had to work twice as hard and twice as aggressively to carve out a place for herself. Never gifted at office politics or glad-handing, Jeannie decided early that her best strategy was to be herself and let her command of the law, sincerity, hard work, and integrity speak for themselves. She bet that her clients, no matter how successful, would prefer to work with a plainspoken, compassionate, and honest attorney with small-town values than the arrogant, condescending, and dismissive “big shots” she so often dealt with in courtrooms. Against the odds, Jeannie’s strategy succeeded. In 1981, Jeannie went to work at New Orleans corporate law powerhouse Baldwin & Haspel (before its merger with Burke and Mayer) and became a partner in 3 years. Since then, Jeannie Morris (Randazzo) has provided legal representation and services to the top businesses and community leaders in the New Orleans metropolitan area, all without losing her charm or sense of right and wrong. Bayou Lafourche Academy (a school created by several parents including her own) which became accredited so they could participate in the Louisiana Independent School Association sports. Lettered all 4 years in softball and basketball. Was Named Most Valuable Player in the District in basketball her senior year. Jeannie graduated from Tulane with a four (4) year degree in Political Science in three (3) years. Jeannie was selected to the Loyola Law Review at Loyola Law School. She graduated from law school at the age of 23. During a downturn of the real estate market, Jeannie supervised associates, paralegals, and was responsible for over 3,000 foreclosures in the New Orleans Metropolitan area at one time, while supervising every attorney in the State who provided legal services for Pelican Homestead & Savings Association. To teach associates, paralegals, and the attorneys throughout the State the proper protocol for handling these cases, Jeannie prepared a foreclosure manual with form letters to be used for demand letters, acceleration letters, and then prepared petitions for each type of mortgage form. She created language for each potential scenario that could arise (i.e. the death of a borrower, the inability to serve a defendant, balloon loans, adjustable rates loans, construction loans, non-resident absentee defendants, etc.) during a foreclosure process so that appropriate language could easily be added to fit any situation. Jeannie represents Borrowers who are sued by Lenders filing foreclosures via executory proceedings. Because a Lender is allowed to seize and sell a Borrowers’ property at a public auction without service of a citation and petition, an executory process is considered a harsh remedy which requires the Lender to strictly follow the letter of the law and to attach authentic evidence of every link in the chain of evidence, with certain minor exceptions. Not all attorneys follow the letter of the law in the executory proceedings. In those cases, Jeannie files a Petition for Preliminary and Permanent Injunction and Petition for Damages for Wrongful Seizures. the Fourteenth Amendment of the United States Constitution. In most of those cases, Jeannie obtained a court order from the judge requiring the Lender to cancel the Borrower’s Mortgage resulting in the Borrowers receiving their property free and clear of the mortgage. In another case, her clients were given a significant amount of cash, enough to purchase a newly constructed home and still have enough money to add an in-ground swimming pool. Additionally, the previous mortgage was cancelled. Jeannie handled several auto accident cases, 3 successful medical malpractice lawsuits, approximately 10 Hurricane Katrina lawsuits, 2 defamation cases for John Schwegmann which settled early, several redhibition/suits to reduce the purchase price after sales of houses, suit against contractors for the failure to build houses in accordance with the plans and specifications, partitions by licitation, suits to quiet title after tax sales, several open account cases, along with a case for Natural Gas Company before the Louisiana Public Service Commission, which she won and then defended and won both appeals at the 19th Judicial District Court for the Parish of East Baton Rouge and the Louisiana Supreme Court. Jeannie Morris defended Anne Rice in a defamation case filed by Al Copeland. She also assisted in the defense of Anne Rice in a redhibition case. Jeannie also assisted in the defense Bristol Myers Squibb in the breast implant litigation class action litigation. Jeannie reviewed thousands of medicals records, learned a great deal about medical terms, and excellent at finding inconsistencies in the medical records. Jeannie has assisted real estate developers and investors in structuring advantageous acquisitions, sales, financing, and leasing arrangements. She also represent local and out-of-state lenders by creating all of the sale and loan documents, including, but not limited to: Act of Cash Sale, Act of Sale and Assumption, Promissory Note, Mortgage, Security Agreement, UCC-1 Financing Statement, Assignment of Leases and Rents, Assignments of Note and Mortgage, Continuing Guaranty, and Borrower or Lender Counsel Opinion Letters. Jeanie has also assisted title companies by examining titles for residential and commercial real estate transactions. She has also handled litigation to cure title defects. Jeannie has extensive experience in the Due Diligence Process, Negotiating the Purchase and Sale of Businesses, Drafting of the Letter of Intent, Merger Agreements, Asset Purchase Agreements, and Stock or LLC Units Purchase Agreements, including all exhibits attached thereto, as well as the preparation of the Hart-Scott-Rodino filing when necessary. The Merger and Acquisition transactions worked on by Jeannie have ranged from $1million to in excess of $400 million. Jeannie has prepared the initial condominium documents to create condominium regimes. She has negotiated on behalf of owners of condominiums regarding various problems associated with condominium ownership. Jeannie has extensive experience in representing condominium associations in contract disputes, as well as the collection of past due condominium dues or assessments, condominium liens, and lawsuits to enforce liens. Jeannie has negotiate and prepared agreements of all types of contracts including, but not limited to, commercial and residential real estate leases, employment contracts, non-compete agreements, consulting agreements, prenuptial agreements, and purchase agreements of all types. Jeannie has extensive experience in Business Formation, Financing, Negotiations, Shareholder Agreements, Management, and Management Succession, and has handled many business litigation cases. Last Will and Testaments, Trusts, General Powers of Attorney, Healthcare Powers of Attorney, Living Will, Prenuptial Agreements, Limited Liability Companies, Buy-Sell Agreements, and Business Reorganizations. Over the last 37 years, Jeannie handled and prepared succession pleadings for most wills and trust situations. She has completed all succession pleadings, both testate and intestate, and prepared the 706 Federal Estate Tax Return, if necessary. Jeannie knows how to speak with people going through the roughest time of their life. She is kind and compassionate. When you are at your worst, you should consider having the best handle to your succession, without stress or worry. 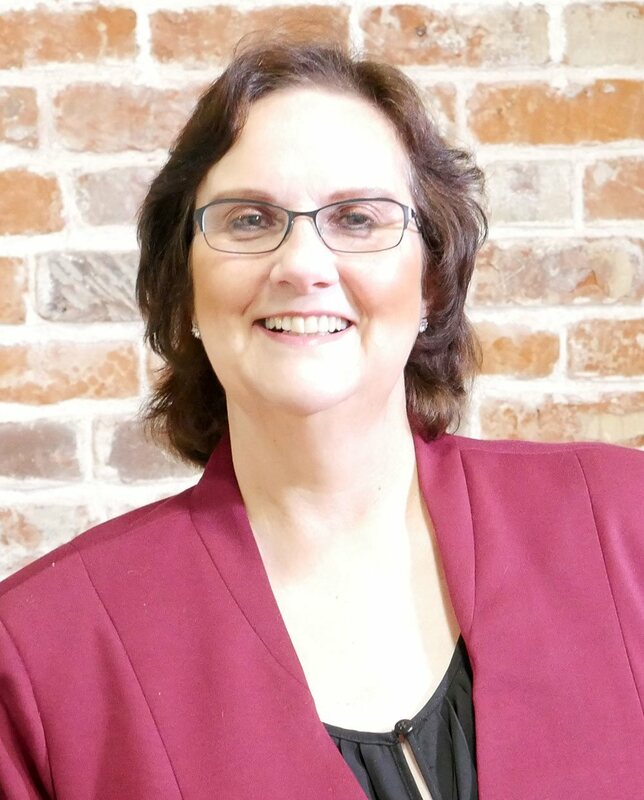 Since 1981, Jeannie Morris has provided legal representation and services to the top businesses and community leaders in the New Orleans metropolitan area. © 2018 Law Office of Jeannie Morris by Parade Trade.